Quick response needed while this great offer lasts! 'Dalvaro Art' do it again! 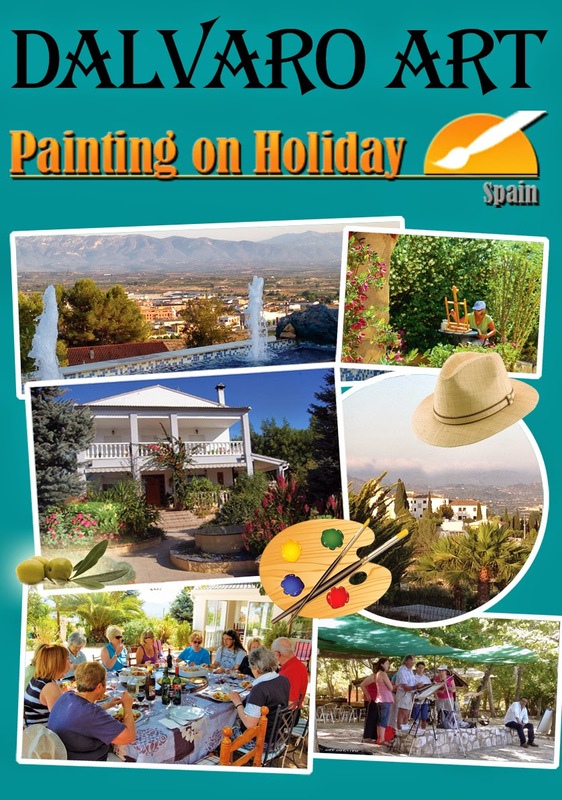 Consistent with their generosity and 'customer first policy' Dalvaro Art, the well renown and respected art holiday organisation near Valencia in Spain are now offering their luxury all inclusive art holiday with me from 11-18 June at a superb price - just £999! Early booking strongly advisable as this is a temporary offer for a limited period only and could be withdrawn at any time. Fully inclusive 7 night stay in twin or double rooms, all en-suite. Breakfast, lunch and evening meal, with drinks, are all included with the cost of the holiday. Fully inclusive trips out to the local villages, historic town Benigánim, within beautiful agricultural land complete with orange and olive groves - perfect locations for painting. This holiday is well situated for walking, hiking, cycling, photography and so much more and so, for any non-painting partners, this is a great chance for you to explore this special region of Spain as well!